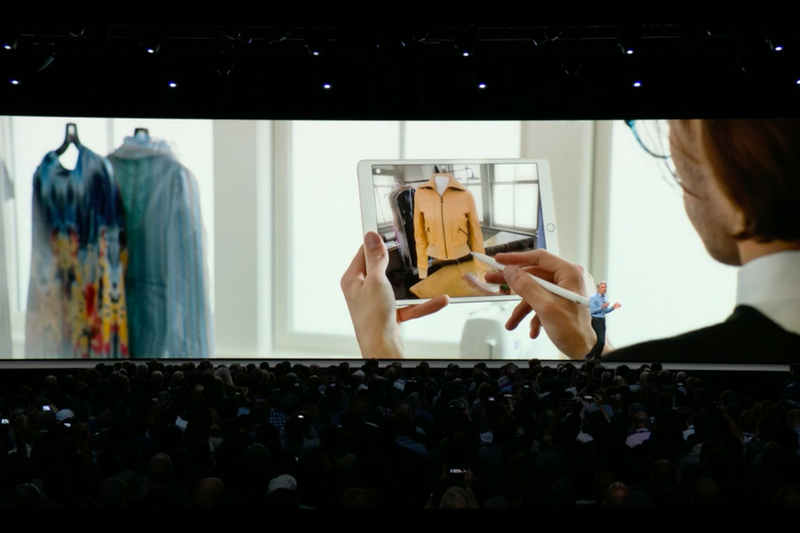 Apple announced at WWDC today the next generation of ARKit, which introduces a new multiperson mode for AR games and another mode that allows for virtual objects to be placed in an area and remain in place. ARKit 2.0 also comes with improved face tracking, 3D object detection, and realistic rendering. The multiperson mode will allow two or more people to share data to see the same object or play the same game within a virtual environment. Reuters previously reported that the multiperson mode was designed to work phone-to-phone instead of sending data to the cloud, in part because of privacy concerns. These new features supposedly give a taste of what’s in store for Apple’s AR headset, coming as soon as 2020.